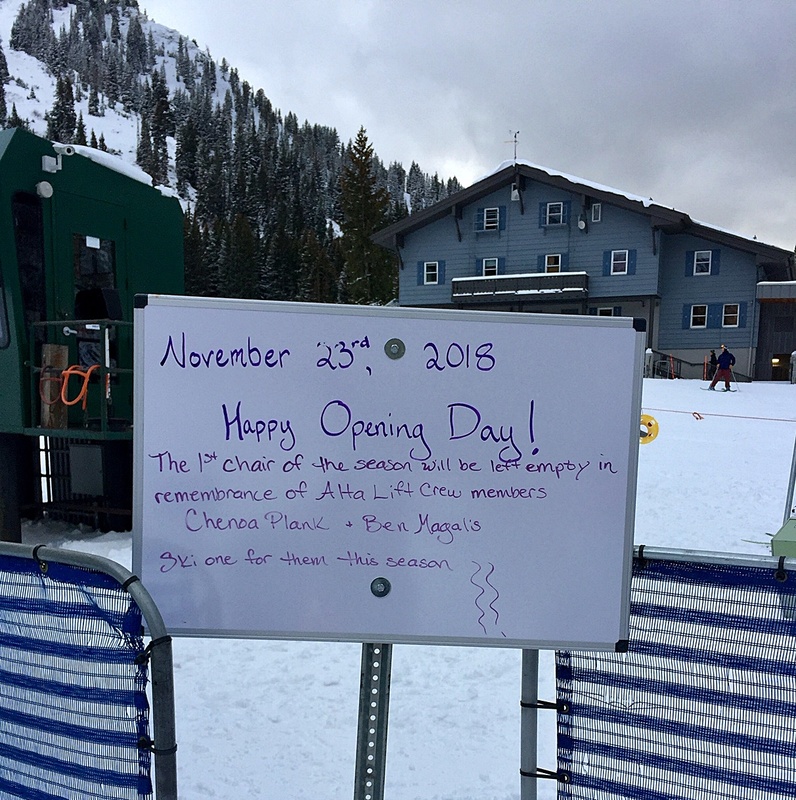 The 2018-2019 Opening Day at Alta Ski Area was a frenzy of excitement that we will not soon forget. A healthy blanket of fresh snow on top of an impressive manmade base (thank you Alta snowmaking) delivered an opening day filled with a collective gratitude for the sport and place we love. It felt like home to stand in the lift line, surrounded by a sea of smiling faces all stoked for their reintroduction to Alta powder skiing. As I made my first turns, the tank was full of excitement. However, my bravado on the lift was subdued as I worked to get my legs under me. Even with my early season conditioning efforts, I was quickly reminded of how important it is to pull in the reins and take it easy on the warmup run, especially in the cold, early season temperatures. As the day drew to a close, my confidence and my technique had improved with each run, but I also remembered the importance of listening to my body, and my desire to get after it again tomorrow. When I unbuckled my boots at the end of the day, I sighed with relief as my feet touched open air. I looked around the locker room at the other skiers and recognized the “exhausted, but worth it” expressions on their faces. We all had a blast as we relapsed in our addiction to sliding on snow. It was the first great day of hopefully many this winter, and I was looking forward to my inaugural après in the Sitzmark to recap every minute of it. Getting your gear ready and in working order after a long hiatus is also key. A fresh tune on your skis, making sure your boots are dialed, and digging out those ski socks in advance will help you maximize your potential from day one. Naturally, well-tuned and well-fitting gear is only useful if you know how to use it. Effective instruction with the Alf Engen Ski School and its myriad of options, including our Alta Lodge Ski Adventure programs, can get you on track and set-up for a great season. Consider some early season coaching to tune up your technique with an Alta Performance Ski Camp (Dec. 12 – 16 and Dec. 16 – 20) or Alta’s Jump Start program Dec. 15 – 16. Looking forward to seeing you in the Sitz for the re-cap and après. Here’s to the first of many great days on the hill this winter!